There has been so many views articles appearing lately about plastic pollution and all of the things that companies are doing to eliminate the scale pollution that plastic actually causes – but can we actually live without plastic? Every person in the world comes into contact with plastic on a daily basis, or uses or wears something that was made using plastic. Humans have become so accustomed to its benefits and uses that we’ve become dependent on it. Do you have a plastic addiction? Here are some useful ways that you can curb your cravings. Stop using plastic bin liners – if you’re justifying your use of plastic bin liners by saying you re-use them as often as possible, then you’re still in the wrong. Stop using them altogether! You can simply place your rubbish directly into your bin and wash it each time you’ve emptied it into the council provided dustbins. Plastic packaging in supermarkets – the best thing you can do is to fill up your own re-usable food containers at bulk food stores, but shopping carefully also helps. Remember to skip plastic bags altogether when bagging up your food, bring your reusable bags instead. Takeaways – yes, your takeaways come with a huge amount of plastic that you just simply throw away. How about taking your own re-usable tubs and containers to pick up your Indian or Chinese takeaway? Plastic Water Bottles – one of the biggest problems that we have. If you have to use them, re-use them as much as possible, otherwise, buy yourself a reusable stainless steel bottle with a medical grade silicon lid. While you’re doing that, make yourself a little toolkit containing a reusable coffee cup and a stainless steel straw. You never know when you might need them! Clothing – A lot of today’s clothing contains millions of plastic microfibres, so you should opt for natural fabrics and fibres where possible. 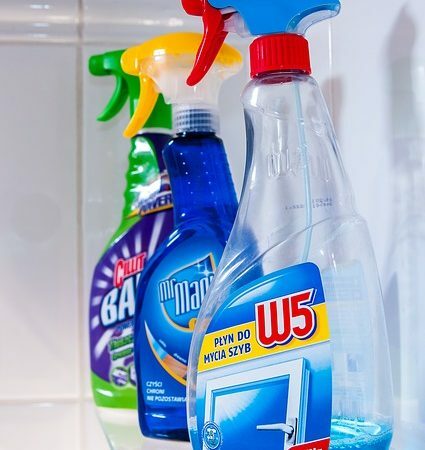 Household Cleaning Products – Nearly all household cleaning products are one of today’s necessities, but equally, nearly all of them are contained within harmful, difficult to recycle plastic bottles and containers. As replacements castile soap can be used for floors and sinks while baking soda can be used for scrubbing jobs and vinegar for mould. All of which avoid harmful plastic packaging. Check out The Guardians article on a full list of the ways in which you can help to reduce plastic pollution.